S. Buttermilk Rd / 155th Ave. 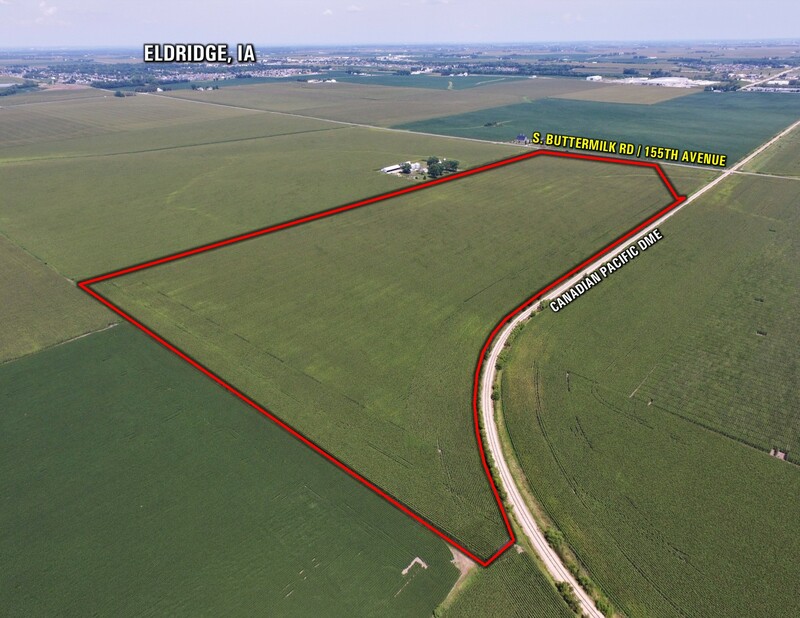 Peoples Company is pleased to be marketing 58.45 acres m/l of highly productive Scott County farmland located in the path of development and incorporated in the Eldridge City Limits. 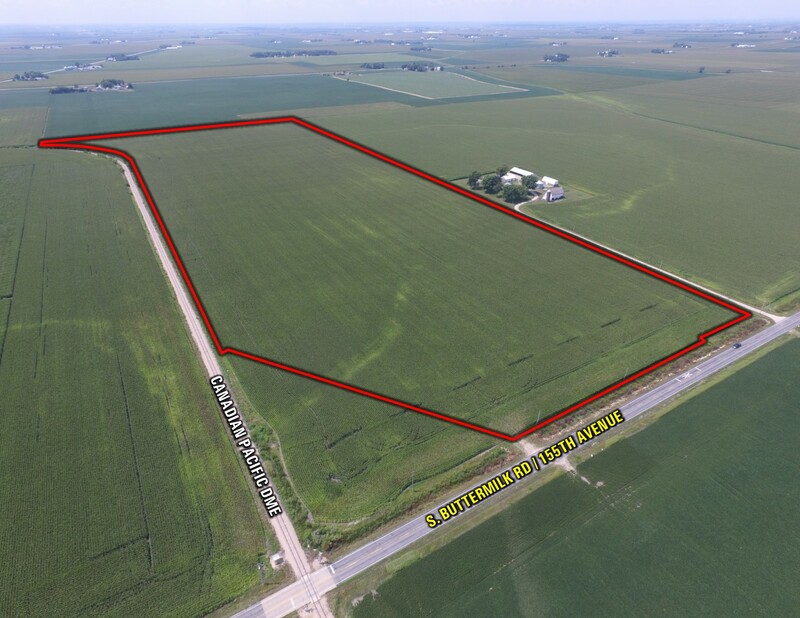 The location along paved S. Buttermilk Rd / 155th Ave and proximity to Interstate 80 support strong potential development for the property. 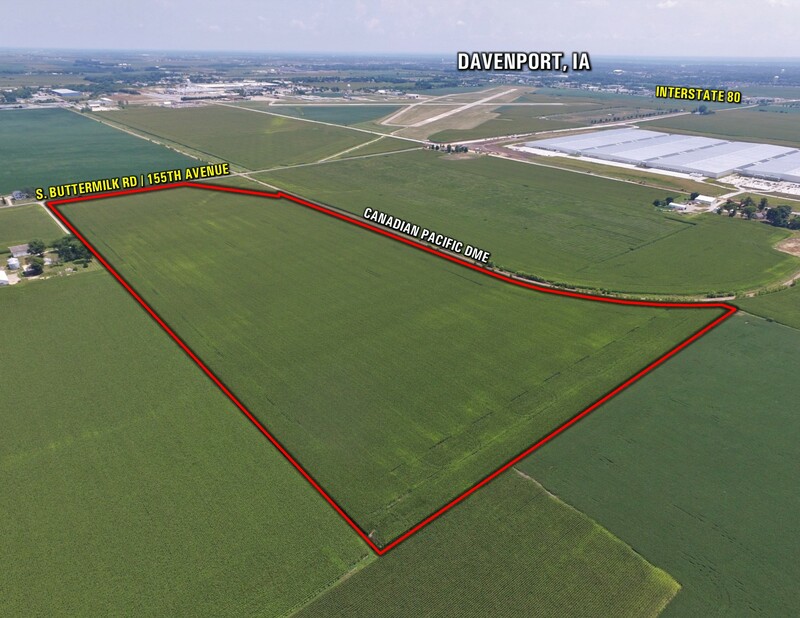 A possible future expansion west for Blackhawk Trail is being discussed that would bring utilities and infrastructure closer to the property from the east. Utilities including but not limited to Sanitary Sewer, Storm Sewer, and City Water that could be extended. Farm is 100% tillable carrying a CSR2 of 93.2. Primary soil types include Garwin Silty Clay Loam, Muscatine Silty Clay Loam, and Tama Silt Loam. 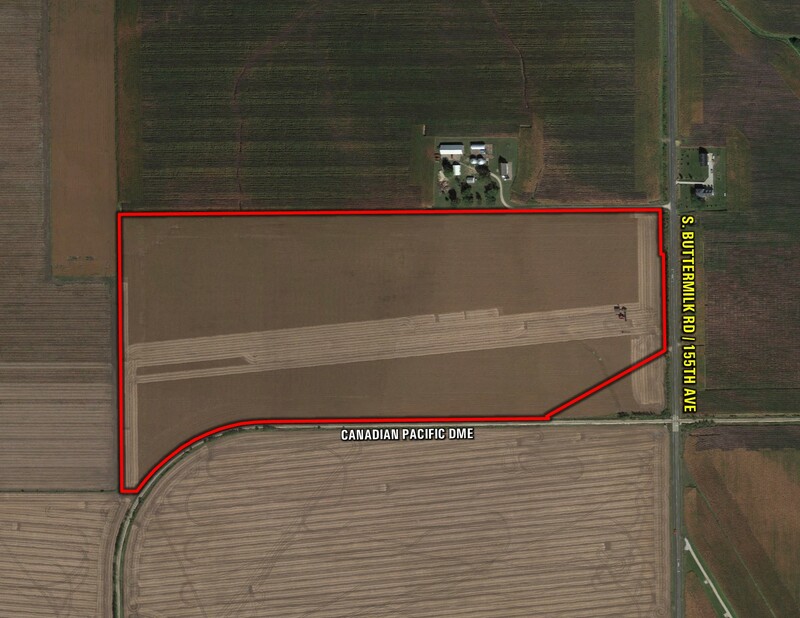 Property is located southwest of Eldridge in Section 27 of Sheridan Township. 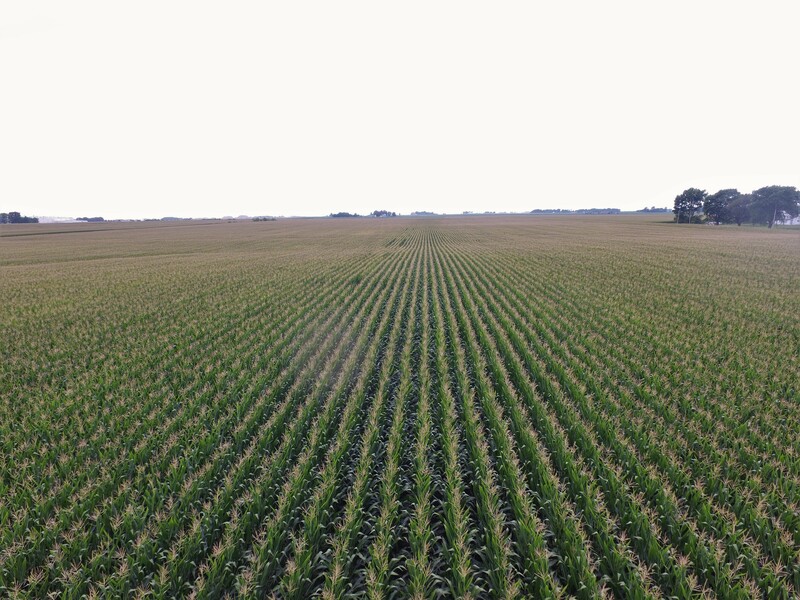 58.45 acres m/l located entirely in Section Twenty-Seven (27), Township Seventy-Nine (79) North, Range Three (3), East of the 5th P.M., Scott County, Iowa. Contact agent for full legal description. 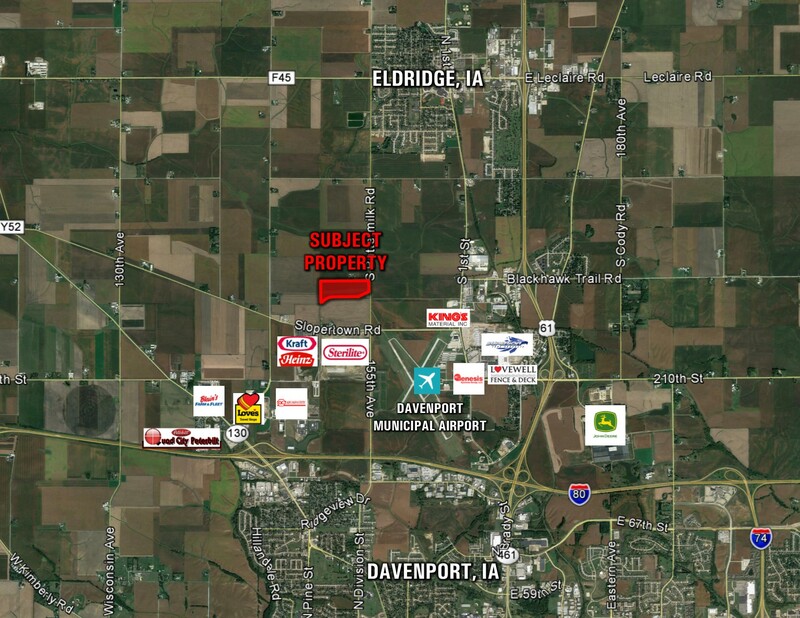 From Interstate 80 (Exit 295B): Travel north on US-61 N toward Eldridge / Dewitt for .8 miles until reaching Exit 124. Take Exit 124 toward Airport / Mounty Joy merging onto 210th Street / E. 90th Street for .5 miles until N. Harrison Street. Turn right (north) onto N. Harrison Street for .6 miles until Slopertown Road. Turn left (west) onto Slopertown Road for 1 mile until 155th Avenue / S. Buttermilk Road. 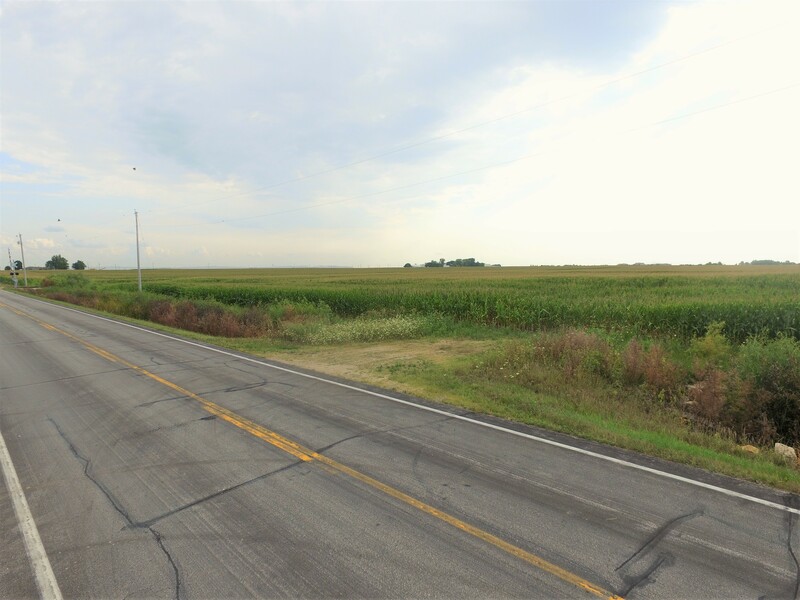 Turn right (north) onto 155th Avenue / S. Buttermilk Road for .5 miles and the property will be located on the left (west) side of the road. Look for sign.